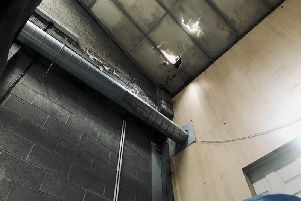 Police are investigating after significant criminal damage was caused to a number of vehicles at a business in Coalisland. Constable Victor Flavin explains: “Overnight between 7th and 8th December dirt was placed in the fuel tanks of a lorry, a digger and a tractor parked at premises on the Reenadeery Road. The paintwork on the vehicles was also scraped and damage caused to the interior of the tractor. “The side curtains on a Euroliner trailer were also slashed and the paintwork scored. “We are keen to hear from anyone who witnessed any suspicious activity at the premises or anyone who has any other information that could assist the investigation. Officers can be contacted at Dungannon police station on 101 quoting reference 419081214.